Photo: Joseph A. Woodbury House, ca. 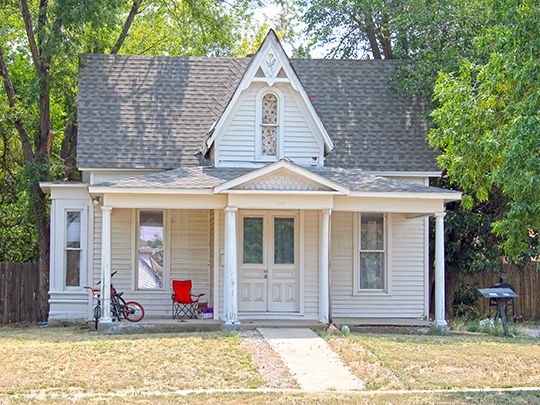 1872, 1124 7th Street, Greeley, CO. Listed on the National Register of Historic Places in 1984. Photographed by User:Jeffrey Beall (own work), 2012, [cc-by-3.0 (creativecommons.org/licenses/by/3.0)], via Wikimedia Commons, accessed February, 2016. Weld County administrative offices are located at 1150 "O" Street, Greeley, CO 80631; phone: 970-356-4000. When the new Colorado Territory was organized in 1861, Weld was one of 17 original counties created at that time.